Top of list, no locksmith can work without a good pick set. 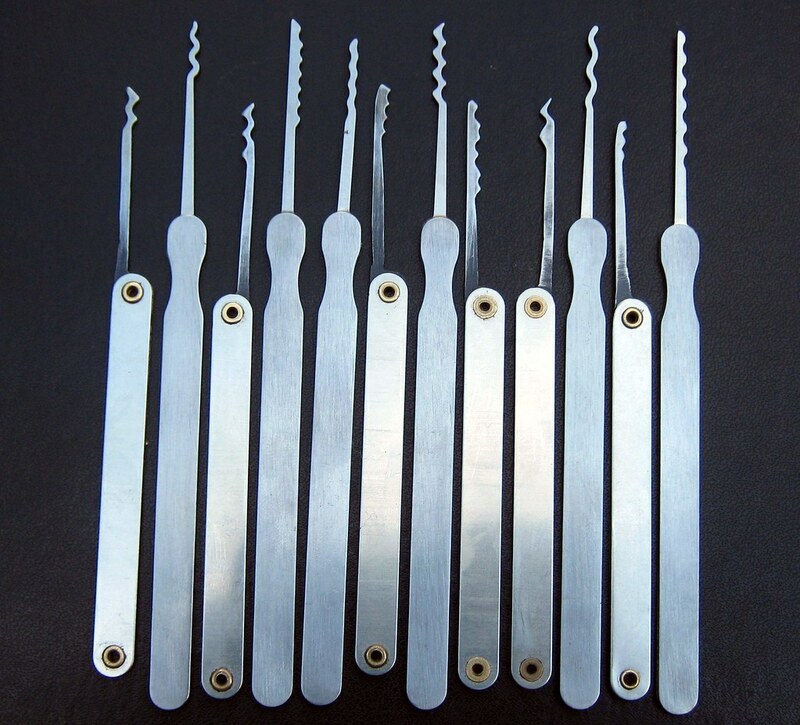 There are loads of lock pick sets out there, some more complicated than others. Strip things down to the core though and a locksmith really only needs 4 picks; a diamond pick, a rake pick, a hook pick, and a ball pick. Some locksmiths also carry a pick gun for added speed.